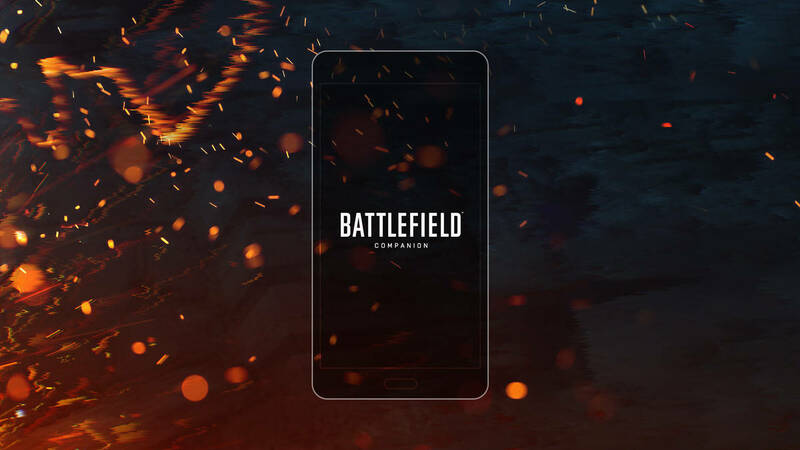 In the midst of the excitement surrounding Battlefield 1’s release, Electronic Arts has already started working on a Battlefield Companion app for phones running Android, iOS or Windows 10 supporting both Battlefield 1 and Battlefield 4. To further the excitement, you can get Battlefield 1 free for a limited time. “A major overhaul to the Battlelog Mobile App is just around the corner. Launching October 18 for Android, iOS, and Windows 10 Mobile, the new Battlefield Companion is a great way to stay in touch with Battlefield™ 1 and Battlefield 4 on the go. Jumping into the Battlefield Companion you’ll notice its new refreshed look, improved navigation, and support for Battlefield 1. The Battlefield Companion will enable you to track Battlefieldprogress, customize your loadout, connect with friends, and more”, says the blurb on the game’s official site. The streamlined UI contains a Career Section that houses user profiles, stats and awards while also giving users the ability to track their friend’s performance with their Friends List. The interface also offers an individual section designed solely to display the range of weapons and gadgets a user holds and is the same tab where users can customize load outs and design their own character. “The current Battlelog experience (battlelog.battelfield.com and m.battlelog.com) will remain available through the new Battlefield Companion and mobile browsers after this update,” stated in the blurb. In the past few years, the Battlelog had been in development alongside new Battlefield titles, integrating both Battlefield 4 and Battlefield Hardline directly. While the game is rumored to contain only six missions, it is good to see a range of features being embedded in the game itself rather than a separate service. The Battlefield Companion app and Battlefield 1’s Early Enlister Deluxe Edition are both being released on October 18. If any of these details sound impressive, Android users can grab the Battlefield Companion App for free here and iOS users can get it here. The app is currently not available for Windows devices, but we will surely update our users as soon as it does. Full details can be found via EA’s help page.